You may be wondering how you found yourself on the internet reading about dog poop. To be honest, we can’t blame you. Although pet waste may seem like a gross subject, it’s also an interesting one and maybe one that isn’t discussed enough. Here at Crown Products, we don’t judge you for wanting to learn more about your furry friend’s feces, we actually encourage it! In our online store, we offer a variety of pet waste management products to help you pick up after your pets while helping to clean up your community and the environment. 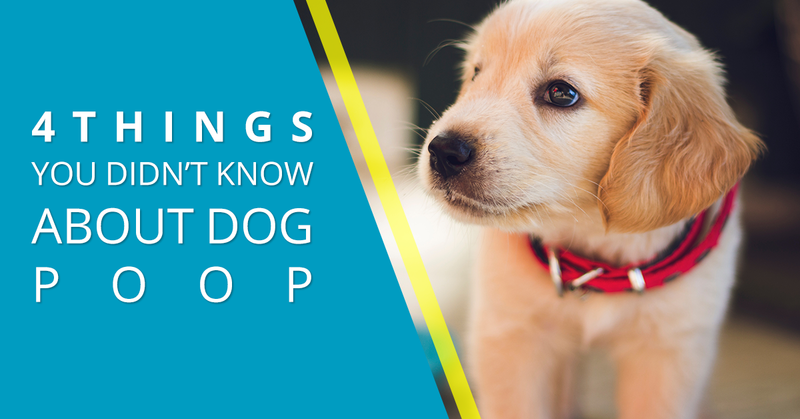 Read on to learn some interesting facts about dog poop, or give us a call if you have any questions. According to the Food and Drug Administration, the average dog excretes .75 pounds of waste each day. This results in nearly 300 pounds of waste every year, and even more for households with more than one dog. That’s a lot of waste! And according to EnviroWagg, this equates to nearly 11 million tons of dog waste generated across the United States. Have you ever stopped to think where all of this is going? Dog poop is a lot more than a minor annoyance for neighbors, it’s a full-on pollutant. Dog waste can include E. Coli, salmonella, and other bacteria that can reach groundwater, streams, rivers, lakes, and contaminate them. According to the Environmental Protection Agency, once pet waste reaches a water source, it decays, using up oxygen and releasing ammonia. Along with warm temperatures, these factors can kill fish and knock the ecosystem off balance. If dog poop is composted, it can be used as fertilizer; however, when it goes straight from the dog to the lawn, it will only hurt it. According to the same article by the EPA, pet waste also has nutrients that encourage weed and algae growth, not prevent it. It can also carry diseases such as giardiasis, toxoplasmosis, toxocariasis, salmonellosis, and campylobacteriosis. The story’s not all grim when it comes to pet waste management. Companies like PooPrints are popping up around the country as a way to combat owners who don’t pick up after their pets. This company creates pet DNA registries so that any time pet waste is found on the ground, it can be traced directly back to their owner. Fortunately, there is something that just about everyone can do about pet waste in their communities. A good place to start would be to ensure that everyone has the resources they need to pick up after their dogs. Here at Crown Products, we sell dog poop disposal bags, dispensers, signs, and trash cans that can be distributed throughout your community. Rather than expecting each dog owner to carry their own bags, our products provide your community with a simple all-in-one solution to pet waste pollution. View our online store to get started.